Red is the new black! 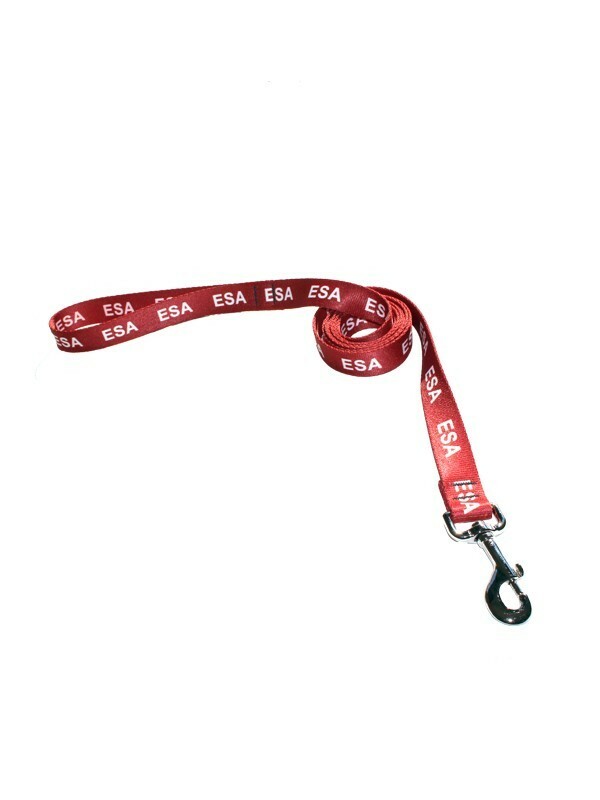 A popular color among handlers, our 6-foot red ESA leash quickly lets others know you're companion is working - and from more than 20-feet away! And talk about durable! 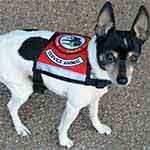 We carefully design and make our ESA leashes in the USA! 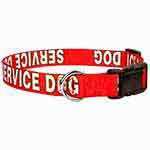 The lettering actually becomes part of the leash material during the more expensive sublimation process - unlike other printed leashes on the market that will fade, wear, crack, and peel over time. Backed by our lifetime guarantee against defects! 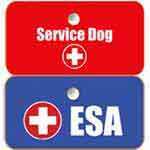 Eliminate unpleasant and unnecessary confrontations when travelling with your ESA or when moving in common areas of your "no-pet" residence by having your pet wear an official, high-quality NSAR 6-foot red ESA leash. 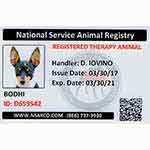 NSAR provides a 30-day No-Risk money back guarantee. 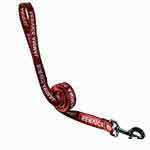 All of our leashes are accompanied by a 12-month guarantee against defects, so order with confidence! I was surprised how quickly this leash arrived! Very well made and Looks like it will last a long time. It's visible when walking Henry and everyone can see he's working so they don't bother me. I also like that I don't have to have an extra couple of feet of leash bunched up in my hand when I want him to stay close in public. Had this leash now for 6 months. I had another leash I bought elsewhere and the lettering started peeling after 3 months. 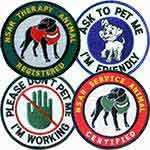 If you walk your dog in the sun a lot, make sure you DON'T buy a leash that is screen printed because that's what happens.